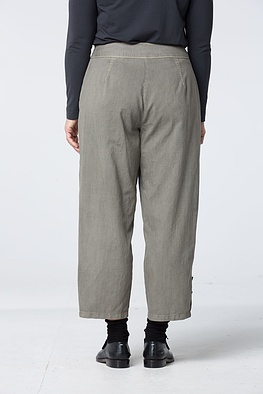 These ISCHIKO trousers stand for cool casualness. 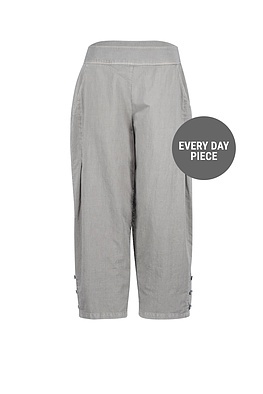 Folds give the relaxed wide trouser legs structure. The silhouette tapers off toward the hem. 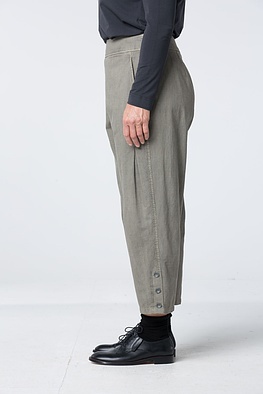 These trousers have seam slits with buttons, a broad waistband, two pockets and a side zipper. Our model is 1,78 meters tall (5.8 feet) and wears size 2.